Drive home in your new pre-owned vehicle with the confidence of knowing you're fully backed by the CARFAX Buyback Guarantee. Why does this vehicle look so great? The CARFAX report shows it's only been owned by one owner. 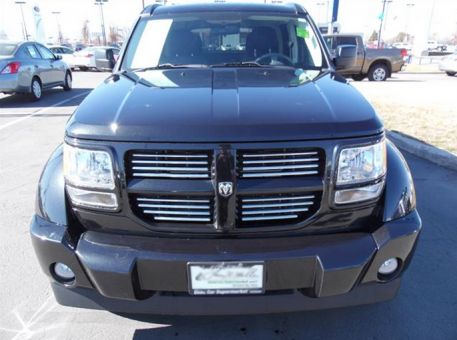 This Dodge Nitro Heat is an incredibly versatile vehicle that is a must have for any family. Simply put, this Four Wheel Drive Dodge is engineered with higher standards. Enjoy improved steering, superior acceleration, and increased stability and safety while driving this 4WD Nitro Heat. You can tell this 2011 Dodge Nitro has been pampered by the fact that it has less than 41,736 miles and appears with a showroom shine. Pre-owned doesn't have to mean used. The clean interior of this Dodge Nitro makes it one of the nicest you'll find.